You’ve wanted to start working out for a long time now, but there’s always something in your way. Ok, it’s time to strip a fitness routine down to essentials and finally stick with it! 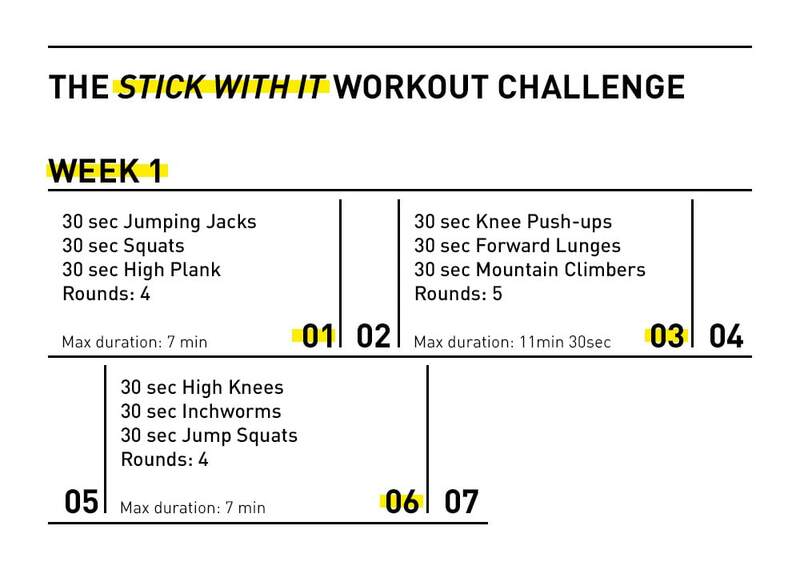 What are the rules for this home workout challenge? Do all 3 workouts each week. Choose any day/time that suits you. Do as many reps as you can with good form. Write down the number of reps and see if you can do more next week. Rest 30 secs to 1 min between rounds. Add some rest between the exercises if needed. Your main goal: stick to a workout plan for 4 weeks, no matter what. What can you expect from this challenge? The point of this challenge is to get you to start working out regularly and create a habit. This is exactly what most people fail to do before they actually see results. 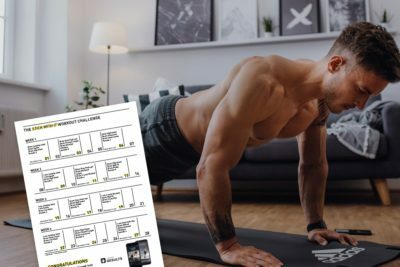 This challenge will prepare you for a more detailed and personalized workout plan, such as the 12-week workout plan in the Results app. This is the foundation of all successful body transformation stories.